Sign up for Broadjam today to follow Ultrasonic Jones, and be notified when they upload new stuff or update their news! 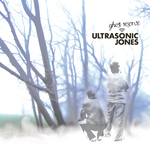 Hills of Lafayette is the 2nd CD release from Ultrasonic Jones. It features a combination of original country-rock and Americana. 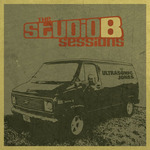 Debut album from Ultrasonic Jones. It features a mix of rock, pop, blues, folk, and alternative sounds. Something for everyone. Enjoy. This track is about realizing that life hands you all sorts of challenges, but through it all, you WILL be OK. It's truly a spiritually uplifting song. Met a couple in a hot tub, haunted by a cowboy ghost. A child from a mining town, from way out on the left coast. Aas the palm trees swayed and I could hear a slight warm breeze. I wasn't sure if it was the rum, but a I swear that ghost was next to me. Well Stranger Things are coming, are you ready for the call? And finer things like diamond rings might not be distant afterall. This guy I know sells scraps of steel, in the outskirts of Detroit. From town to town and door to door, in a metal world he's not maladroit. Late at night in Studio B, where the spiders seem to roam. He grabs his Strat and plugs it in, then takes a trip and brings in home. A red bird knocks on my window. And why she knocks I'll never know. Her nest is gone, it's long gone now, and if she keeps knockin' I'll have to go. Love, loss and acceptance working on the railroad. inspired by stories about the many people who spent and lost their lives working in train yards, building railroads, and working on the train. An alt country song about a man and his realization that he does, indeed, have a mullet. A few bumbling bandits can't quite get away with the big robbery. But oh how they try! Watching the news, we saw a story about a couple of bumbling criminals who had just robbed a convenience store. It was quite inspirational! A guy had some money and a great lady...somehow lost his money and his lady...and he feels the need to tell his side of the story. This song is about a guy who knows how bad his lady friend has it in her abusive relationship, but she just doesn't see it. A family sells their farm to developers who will turn it into new homes. The main character reflects on his life and what he's giving up.